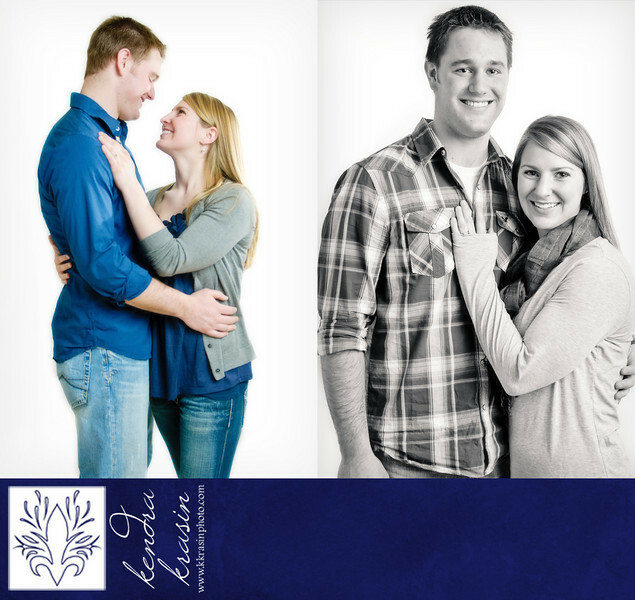 K. Krasin Photography: Sneak Peek: Jordan & Erica are Engaged! 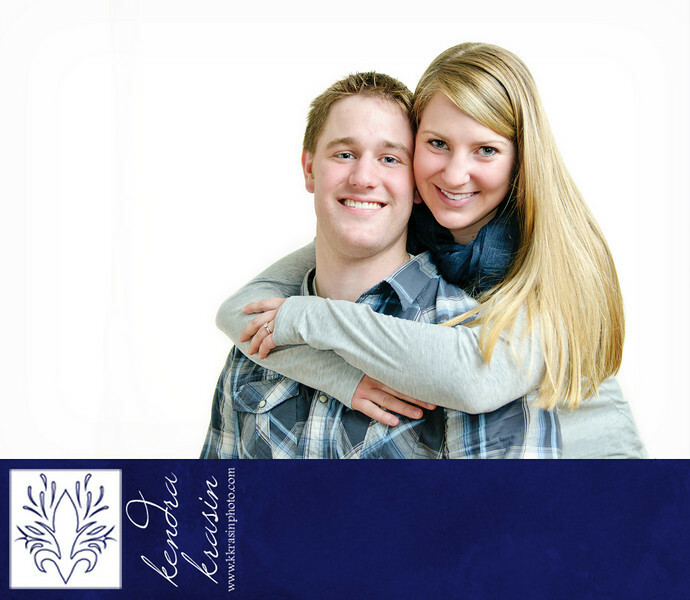 Sneak Peek: Jordan & Erica are Engaged! 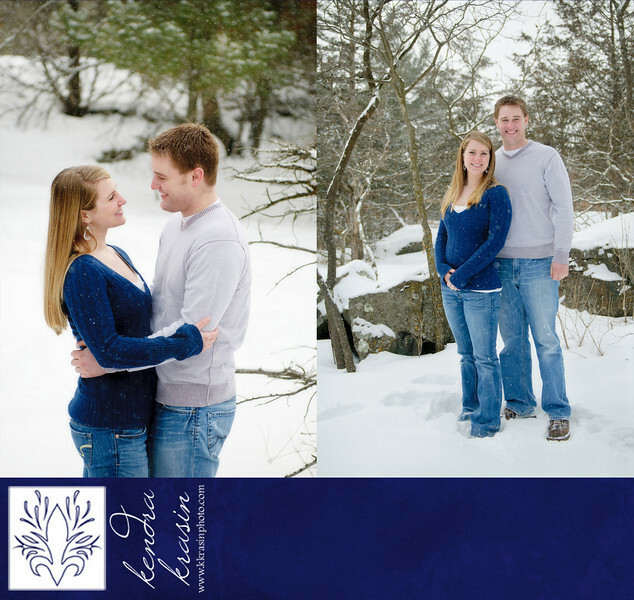 A couple of weeks ago, I headed out to Interstate State Park with a very brave couple, Jordan and Erica. I've been hoping to have a chance to take some portraits in the snow for a while, and it was so worth it! 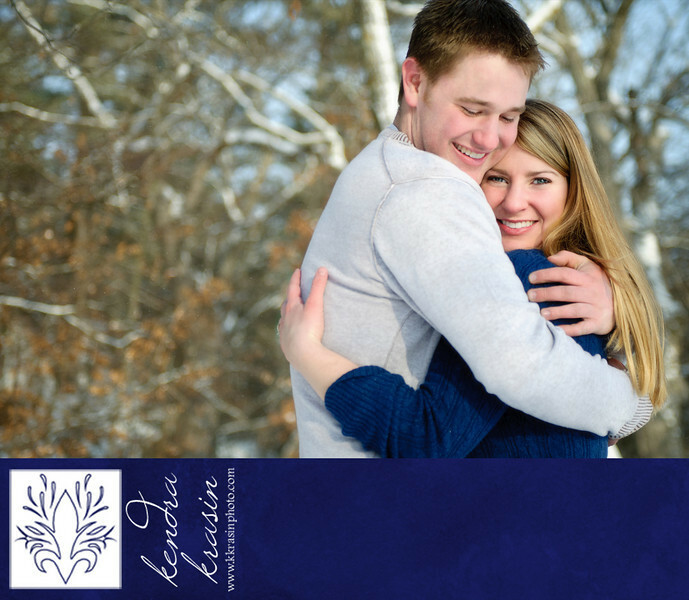 In balmy 7° weather, Jordan grabbed his coat and Erica grabbed her...Badger blanket and we headed out into the snow. I took the precaution of talking with someone at the park who let me know that the bluff trails are not maintained in winter. Bummer! After driving through the park, we decided to risk the trails for the sake of gorgeous scenery. 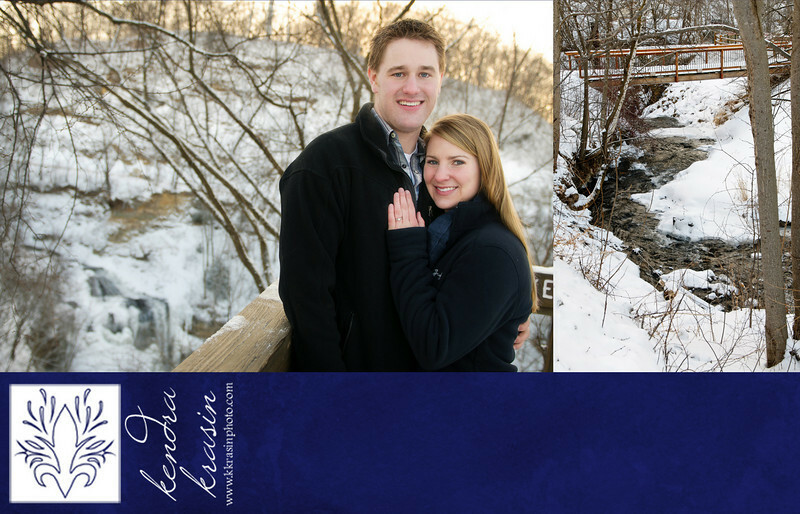 With the exception of deep snow and some patches of ice, everything was perfect! 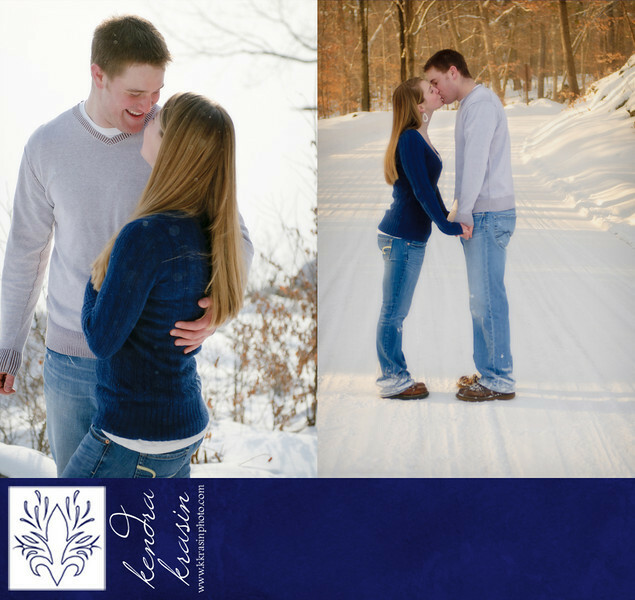 Jordan and Erica were so willing to go on an adventure in the snow and didn't even complain about the cold. (Me? I was warm in my long underwear, coat & boots - they had to keep taking their coat/blanket off!) 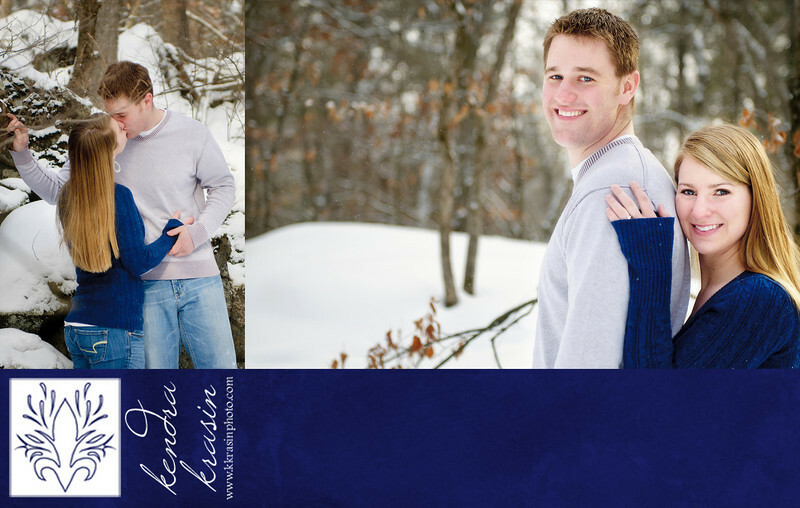 After changing out of snow-crusted clothes, we took some indoor portraits too. I think this one's my favorite!